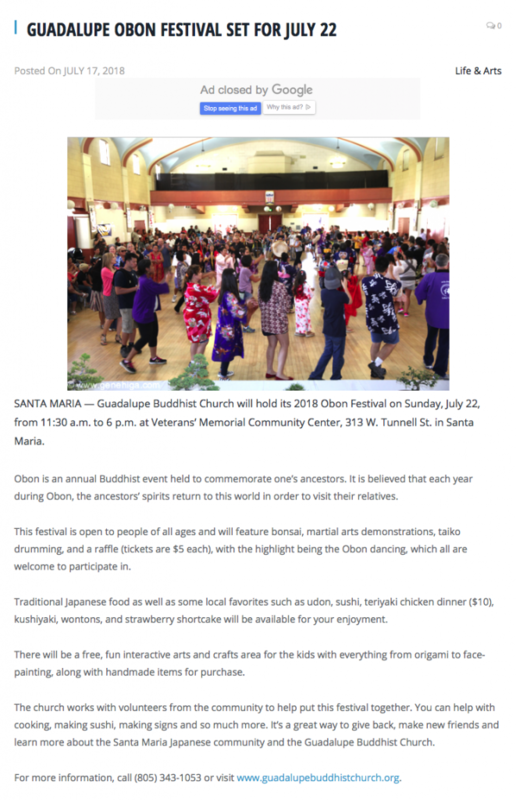 Today we are pround to annouce the latest article in the Rafu Shimpo about the 2018 Guadalupe Buddhist temple Obon Festival. Be sure to pick up a copy. Or visit the articel online, by clicking the photo below. .